Posted on September 25, 2013 at 12:13 pm. Hiring younger job candidates comes with the expectation that they will have a basic understanding of modern technology. Millennials use technology in almost every aspect of their everyday lives, whether they are using smartphones to communicate or laptops to work, and companies should consider what this implication means for the security of their business practices. The downfall of this is that while younger workers may pick up technology faster, they do not necessarily take network security seriously. And because they are always connected to their mobile devices, they’re constantly putting themselves and their information at risk to data thieves. The combination of being always connected to technology while not taking network security seriously is a recipe for disaster, and thus they are to data thieves what an unsuspecting gazelle is to a hunting cheetah. The solution to this essentially involves two steps: employing an IT security service that specializes in small businesses and training employees so that they understand why network security is important. 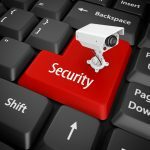 An IT security service is essential for small businesses that store crucial data on the Internet, which can be effective, but dangerous as well if the proper steps are not taken. Training employees ensures that they will not carelessly post company data online without taking the proper precautions. Before hiring a young employee, put yourself in their shoes and consider if your company is doing enough to stress network security. Then evaluate your current network security plan, and consider whether it’s time to upgrade to a better IT security service. If you would like to improve your company’s network security, request your free demo below or just contact us and let’s talk about the best way to secure your network.